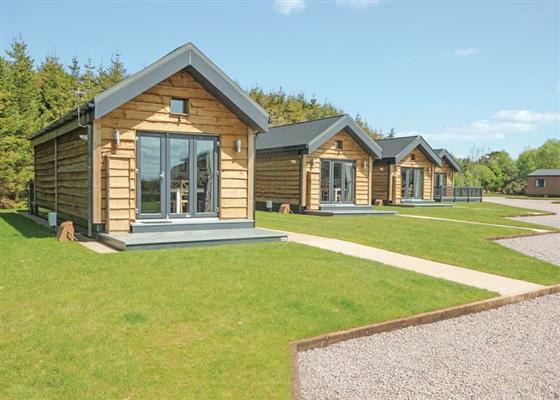 Westlands Country Park in Annan sleeps between 2 and 6 people, with the accommodation being holiday homes and lodges. Westlands Country Park provides the perfect country retreat in the Borders of Scotland. With lodges nestled in the woodland and some with waterside views Westlands Country Park is the perfect spot for exploring Dumfries & Galloway being close to the market town of Annan. The park has an enviable reputation for its clay pigeon shooting and is a world standard venue. Using only competition level equipment the shoot is a favourite for established professionals and new shooters alike. Add to this the tranquillity of the newly opened and well stocked fly-fishing lakes and you create the quintessential Scottish countryside break. For those who prefer to do less not more than simply pull on your walking boots and take a stroll around this beautiful countryside location and if that sounds too strenuous then do even less in your lakeside swim spa (Mulberry Lodge) or hot tub and simply let the others take the strain. If you want to find out what other people have said about Westlands Country Park, read the reviews on Westlands Country Park for more information. And, for those last minute bargains, have a look at some of the special offers available at Westlands Country Park. "Cosy holiday home inspired by nature, with one master double. Bathroom. Open plan living/dining area with doors leading to decking area with quality garden furniture and outdoor hot tub." "Cosy holiday home inspired by nature, with one master double with separate bathroom. Open plan living/dining area with doors leading to a decking area with quality garden furniture and outdoor hot tub." "Cosy holiday home inspired by nature, with one master double and one twin. Bathroom. 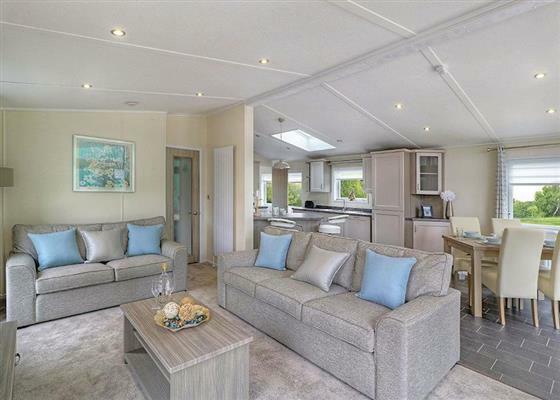 Open plan living/dining area with doors leading to decking area with quality garden furniture and outdoor hot tub." 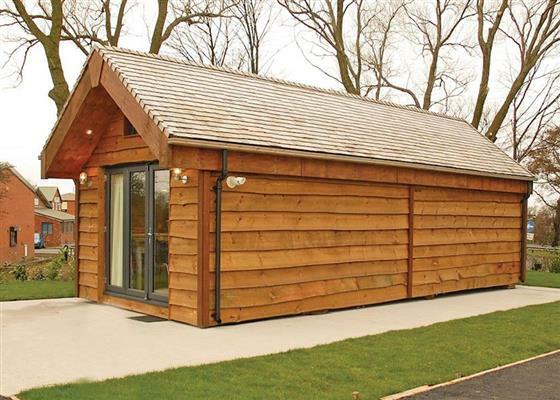 "Stylish and spacious lodge with one double and one twin, both with ensuite bathroom. Open plan living/kitchen/dining area." "Luxurious and spacious lodge, inspired by country living with one master double with ensuite shower and one twin. Separate bathroom. Sliding doors lead to decking overlooking the lake and luxury swim spa." Innovative lodge with central living area providing superb privacy for groups and small families. One master double with ensuite bathroom at one end and one twin with ensuite bathroom at the other end. In the centre is a spacious open plan living/kitchen/dining area. 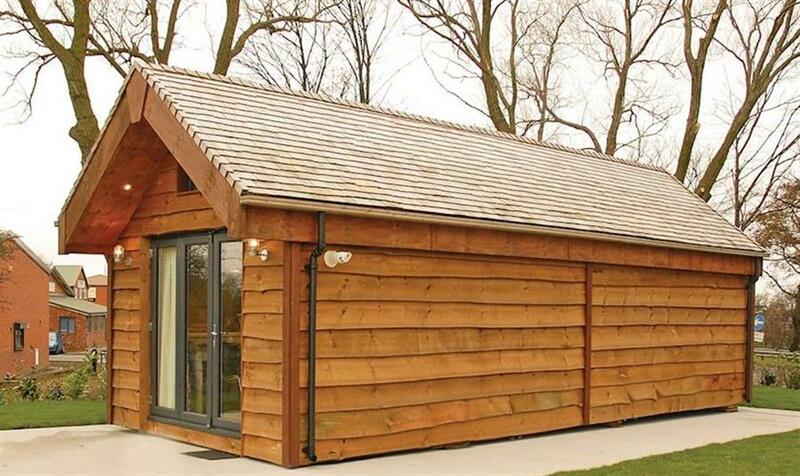 Spacious lodge with one double with ensuite bathroom with bath and shower and one twin. Separate bathroom with shower. Open plan kitchen/living/dining area with doors leading to decking with garden furniture and outdoor hot tub. "This luxurious lodge is ultra modern and stylish, perfect for romantic breaks and family getaways. Boasting two spacious bedrooms, one double room with a built in wardrobe/dressing room, ensuite shower room with a freestanding bath and shower. And one twin room and a separate bathroom with shower." "Luxury lodge with two doubles, both with ensuite shower and two twin. Open plan living area. Decking with garden furniture and outdoor hot tub." Find out about Westlands Country Park, including prices and availability. There aren't currently any special offers at Westlands Country Park however, the special offers shown below are all on parks within 30 miles of Westlands Country Park - so you may find these useful. Holiday at Esk in Dumfriesshire starting on Saturday 27 April 2019 for 7 nights. Holiday at Teviot in Dumfriesshire starting on Saturday 27 April 2019 for 7 nights. Holiday at Leith in Dumfriesshire starting on Saturday 27 April 2019 for 7 nights. Holiday at Heriot in Dumfriesshire starting on Saturday 27 April 2019 for 7 nights. 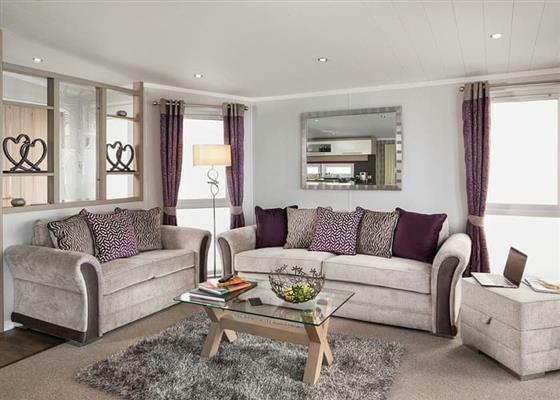 Holiday at Ettrick Caravan in Selkirkshire starting on Saturday 04 May 2019 for 7 nights. Holiday at Tima Log Cabin in Selkirkshire starting on Saturday 04 May 2019 for 7 nights. 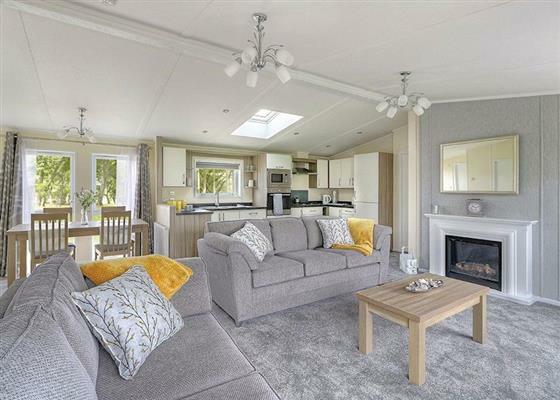 Holiday at Ettrick Caravan in Selkirkshire starting on Saturday 25 May 2019 for 7 nights. Holiday at Tima Log Cabin in Selkirkshire starting on Saturday 25 May 2019 for 7 nights. There are 44 holiday parks within 15 miles of Westlands Country Park. Jebel Kasr in Keswick, Lake District, and sleeps 2 people. 27 miles. Pound Farm Farmhouse in Crook, Cumbria, and sleeps 10 people. 48 miles. Greenswangs House in Lockerbie, Dumfriesshire, and sleeps 8 people. 9 miles. Harts Close in Kirkcudbright, Kirkcudbrightshire, and sleeps 2 people. 37 miles. Hollow Creek Cottage in Carlisle, Cumbria, and sleeps 2 people. 9 miles. Marthas Shore Cottage in Dumfries, Dumfriesshire. 16 miles. Algars Garth in Penrith, Cumbria. 26 miles. Pound Farm Farmhouse in Kendal, Cumbria, and sleeps 10 people. 48 miles. Cumberland Cottage in Orton, Cumbria, and sleeps 2 people. 44 miles. Corn Meadow in Kirkby Lonsdale, Cumbria, and sleeps 4 people. 22 miles. Beckside Cottage in Penrith, Cumbria, and sleeps 6 people. 49 miles. Top Byre in Bishop Auckland, Durham, and sleeps 2 people. 43 miles. Silverholme in Lake Windermere, Cumbria. 49 miles. Out of the World in Kirkcudbright, Kirkcudbrightshire, and sleeps 6 people. 41 miles. White Moss - Number 2 The Terrace in Windermere, Cumbria, and sleeps 11 people. 45 miles. The Wee Byre in Dumfries, Dumfriesshire, and sleeps 6 people. 22 miles. Wastwater in Ambleside, Cumbria. 41 miles. Hawkrigg House in Coniston, Cumbria, and sleeps 8 people. 48 miles. Drumblane Strand in Kirkcudbright, Kirkcudbrightshire, and sleeps 7 people. 36 miles. Langthwaite in Grasmere, Cumbria, and sleeps 8 people. 39 miles. The Mill House in Earlston, Berwickshire, and sleeps 10 people. 48 miles. Cleughbrae Cottage in Castle Douglas, Kirkcudbrightshire, and sleeps 6 people. 41 miles. Netherend in Keswick, Cumbria, and sleeps 10 people. 27 miles. Tarset Tor in Hexham, Northumberland, and sleeps 20 people. 35 miles. Darroch in Moniaive, Dumfriesshire, and sleeps 4 people. 32 miles. The White House in Dalbeattie, Dumfries and Galloway, and sleeps 8 people. 26 miles. Edmond Castle in Brampton, Cumbria, and sleeps 10 people. 17 miles. Blue Door in Kirkcudbright, Kirkcudbrightshire, and sleeps 7 people. 37 miles. Mill Moss Barn in Ullswater, Cumbria, and sleeps 4 people. 34 miles. Wood Hall Estate in Cockermouth, Cumbria, and sleeps 18 people. 24 miles. Ingleston Cottage in Moffat, Dumfriesshire, and sleeps 4 people. 20 miles. Horsepark Cottage in Gatehouse of Fleet, Dumfries and Galloway. 42 miles. Scarfoot in Patterdale, Cumbria. 34 miles. Borrowdale View in Keswick, Cumbria, and sleeps 12 people. 28 miles. Oakbank Farmhouse in Cockermouth, Cumbria, and sleeps 6 people. 29 miles. Aspen Cottage in Windermere, Cumbria, and sleeps 9 people. 45 miles. Spring Bank in Penruddock, Cumbria, and sleeps 11 people. 29 miles. The Old Chapel in Melmerby, Cumbria, and sleeps 6 people. 30 miles. Luckenburn in Jedburgh, Roxburghshire, and sleeps 6 people. 41 miles. The Garth in Penrith, Cumbria, and sleeps 7 people. 30 miles. Townend Farm in Appleby-in-Westmorland, Cumbria. 46 miles. Mill Dam House in Castle Douglas, Kirkcudbrightshire, and sleeps 14 people. 27 miles. 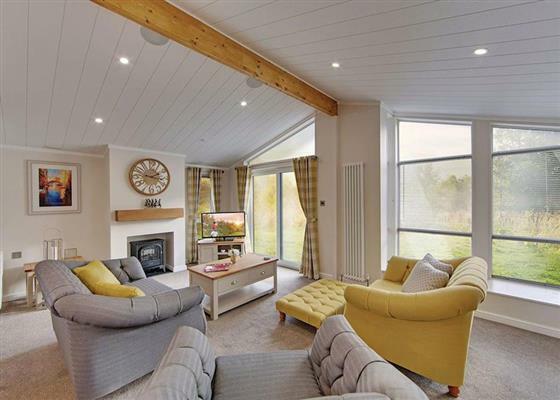 The Garth in Threlkeld, Cumbria, and sleeps 8 people. 26 miles. Berkeley House in Keswick, Cumbria. 28 miles. Ingle Neuk Cottage in Keswick, Cumbria, and sleeps 4 people. 24 miles. Gill Cottage in Kirkby Stephen, Cumbria, and sleeps 8 people. 47 miles. Millburn Cottage in Kirkcudbright, Dumfries and Galloway, and sleeps 4 people. 37 miles. Larchwood in Greystoke, Cumbria. 23 miles. Croft House Barn in Blindcrake, Cumbria, and sleeps 12 people. 22 miles. The Old Rectory in Uldale, Lake District National Park, and sleeps 8 people. 20 miles. Croft House Cottages in Keswick, Lake District National Park, and sleeps 4 people. 27 miles. Belses Muir Shepherds Cottage in Ancrum, Scottish Borders, and sleeps 6 people. 40 miles. Carrick Cottage in Carrick Shore, South West Scotland, and sleeps 6 people. 43 miles. Cleabarrow Cottage in Windermere, Lake District National Park, and sleeps 12 people. 46 miles. Bluebell Barn in Kirkby Stephen, Yorkshire Dales National Park, and sleeps 6 people. 49 miles. Marron Cottage in Cockermouth, Cumbria, and sleeps 4 people. 27 miles. The Dale Manor in Allendale, Northumberland, and sleeps 18 people. 38 miles.